they’re doing. Literally. 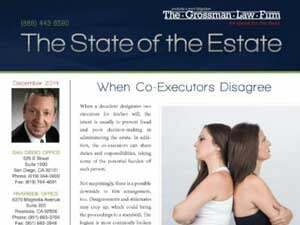 Some trustees, executor, or administrators only appear unwilling or unable to do their job. Some are unable. All are keeping you from the information you are entitled to get. Some are doing it so you won’t realize they are benefiting themselves at your expense. 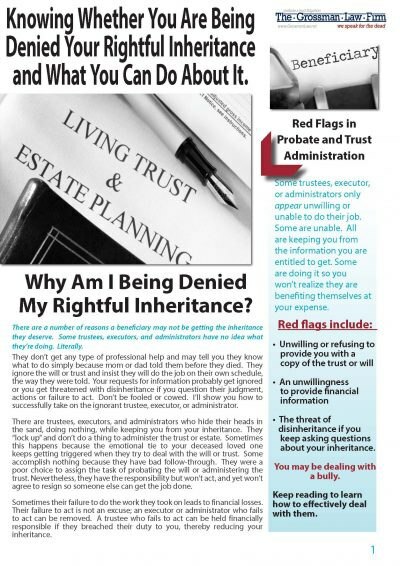 The threat of disinheritance if you keep asking questions about your inheritance. Our brochure gives you a clear picture of what to look out for and how we can help you deal with this very serious and stressful situation. Your first step should be to carefully read our free brochure. The brochure will provide an overview of what the warning signs are that a trustee may be taking advantage of the situation. 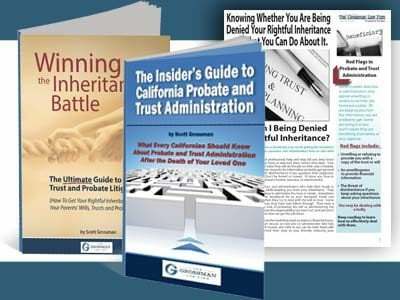 It is very important that you consult with an experienced and reliable California trust litigation attorney. 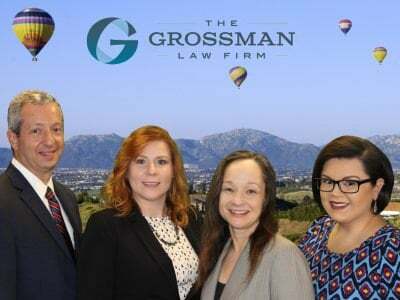 Contacting an attorney that is experienced in dealing with such matters gives you the opportunity to find out if you need to protect yourself and your family from a trustee that may be making mistakes or intentionally taking things. Use the form below to request your e-copy of this invaluable brochure. If you would like a hard copy please call our office at 951-683-3704 to request a hard copy be mailed to you. To learn more about the signs you should watch out for, view our free brochure. Contact our office today to schedule your free 30-minute phone consultation with an experienced trust litigation attorney at (888) 443-6590.